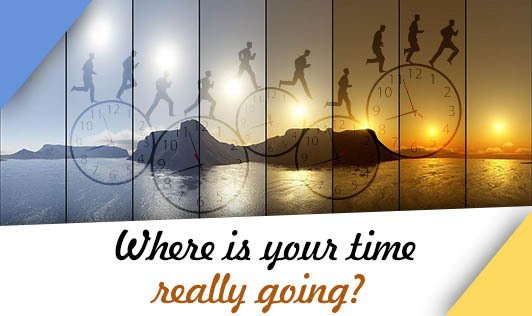 Are you constantly busy, but not quite sure what you're so busy with? Before you can learn to manage your time better, you need to analyze how you are actually spending your time. Start making note of the time of day when you are most productive. Keeping an activity log for a week or two will help you understand what your big time-wasters are. Note down the things you do as your start time (time, date, and what it is that you're doing). Every time you change activities, whether opening mail, working, making coffee or chatting to colleagues, note down the time of the change. Also note how you feel. Are you feeling alert, flat, tired, energetic, and so on? Do this periodically throughout the day. Once you have logged your time for a few days, analyze the log. You will notice the time of day when your energy is at its peak and the time when it’s flat. Naturally, your energy levels depend on the breaks taken, how often and how much you eat, and the quality of intake. This activity log will then give you a starting point for experimenting with these variables. The next step is to set priorities to focus your attention on the activities you deem most important. Reward: What gives me the most joy? As you sort through your personal priorities, look at the element of personal fulfillment. There is deep satisfaction in doing what you are talented in, and perhaps even "called" to do. There is nothing easier than not finding time to do the things you don't want to do. Requirement: What is required of me? When you feel overwhelmed by obligations, stop and separate your "musts" from your "wants". Simply ask- What must I do? What is required of me here? Results: When sorting our priorities, ask the question- What brings the greatest results when I do it? You should spend most of your time working in the area of your greatest strength. Find your gift and capitalize your time using it. Is this consistent with my priorities? Does this fall within my area of competence? Am I sure that I am the best person for this task? If there is someone who will perform better at this task, delegate. Time is the one thing we can never have enough of. And although you can't literally make more time, you can manage the time you have a little better and get more done. Once you understand where your time is really going, you're already halfway there!